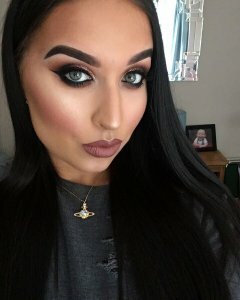 Meet our wonderfully creative, make up lover Naomi from Nuneaton in the UK. This is her second season working for Kiss My Fairy after falling in love with the island whilst on holiday in 2015! Naomi’s favourite club was Space!, her favourite nights out in Ibiza are DC10 for Paradise and Flower Power at Pacha! Her favourite place to go and chill out is at Es Vedra! When we asked what she loved about Ibiza she said the relaxed atmosphere and mix of people! What is your role at Kiss My Fairy? I am a body painter, glitter and make up artist. I attended art classes at school and then went onto college where i studied Theatrical and Media Makeup. 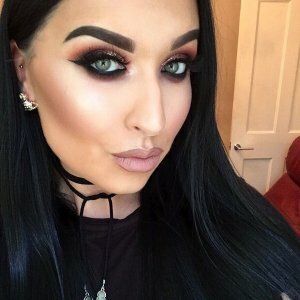 From there I progressed on to training and working at MAC Cosmetics and Illamasqua before setting up my own business as a freelance make up artist. I learnt to body paint at college and via the training and experience given to me at Kiss My Fairy. Which is your favourite Kiss My Fairy look and why? 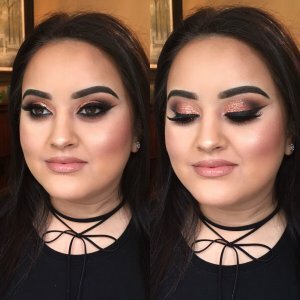 It would have to be a warm blown out smoky eye with burnt oranges and brick reds, finished off with a a flash of gold glitter! As we all love a bit of highlight in our lives here is my top tip! – Highlight your skin before you contour, this gives an overall better blend. Spritz your brush with finishing spray to intensify the highlight!